Including: ciprofloxacin, methicillin, vancomycin, aminoglycosides, cephalosporins, amphotericin B, bacitracin, and sulfonamides. 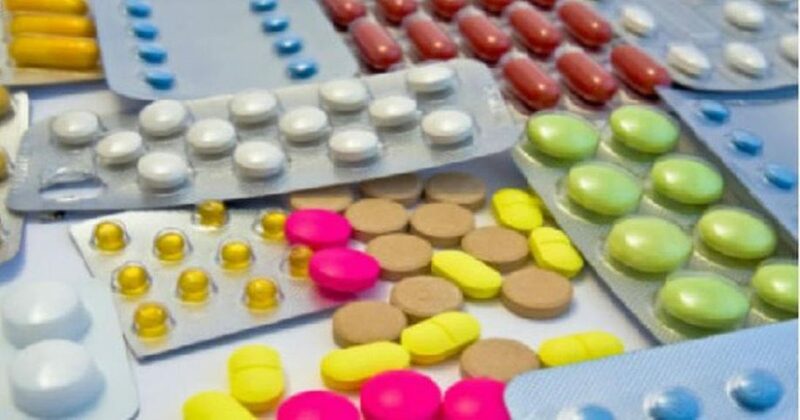 Including: acetaminophen and non-steroidal anti-inflammatory drugs (NSAID), aspirin, ibuprofen, naproxen, and other prescription and non-prescription painkillers. Including: celecoxib (Celebrex), rofecoxib (Vioxx), and valdecoxib (Bextra). Including: proton pump inhibitors like omeprazole (Prilosec), lansoprazole (Prevacid), pantoprazole (Protonix), rabeprazole (Rabecid, Aciphex), and esomeprazole (Nexium, Esotrex). Including: acyclovir (Zovirax), used to treat herpes infection, and indinavir, ritonavir, and tenofovir, all used to treat HIV. Including: captopril (Capoten), lisinopril, ramipril, and angiotensin receptor blockers like candesartan and valsartan. Including: infliximab (Remicade), chloroquine, and hydroxychloroquine, which are used to treat malaria and systemic lupus erythematosus as well as rheumatoid arthritis. Including: phenytoin (Dilantin) and trimethadione (Tridione).